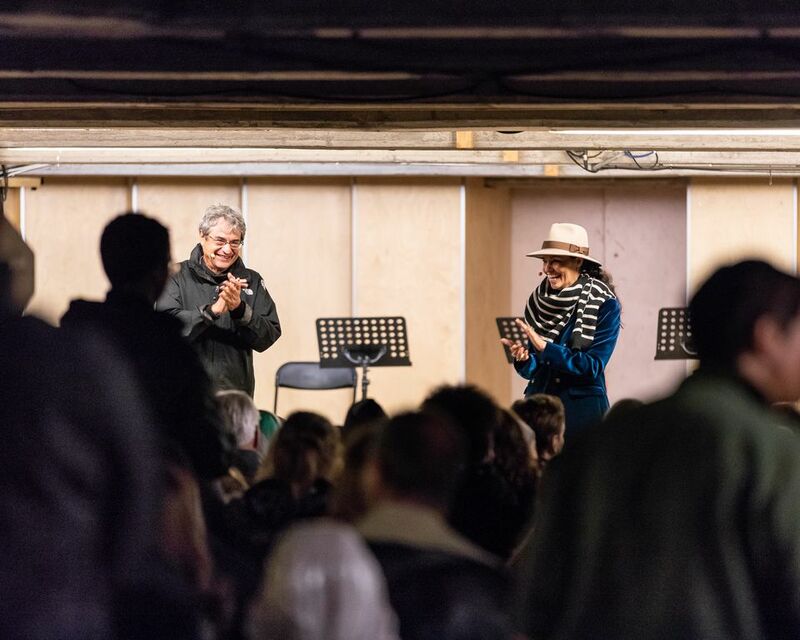 Time was very much of the essence up on the rooftop spaces of Peckham multi-storey car park on Saturday (22 September) as as the arts project Bold Tendencies, founded in 2007 by the gallery owner Hannah Barry, laid on a grand finale to its annual summer programme. To round off the 2018 programming, an ambitious new sound and visual work by the artist and designer Es Devlin took as its starting point the theoretical physician Carlo Rovelli’s book The Order of Time. Never mind that the weather had already turned aggressively autumnal, the large crowd stood in the rain on the top roof (with umbrellas banned as they blocked the sight lines) to watch as Devlin’s illuminated excerpts from Rovelli’s book were projected in a constantly shifting frieze of texts and images whilst at the same time being read in the dulcet tones of Benedict Cumberbatch and accompanied by a specially composed score. 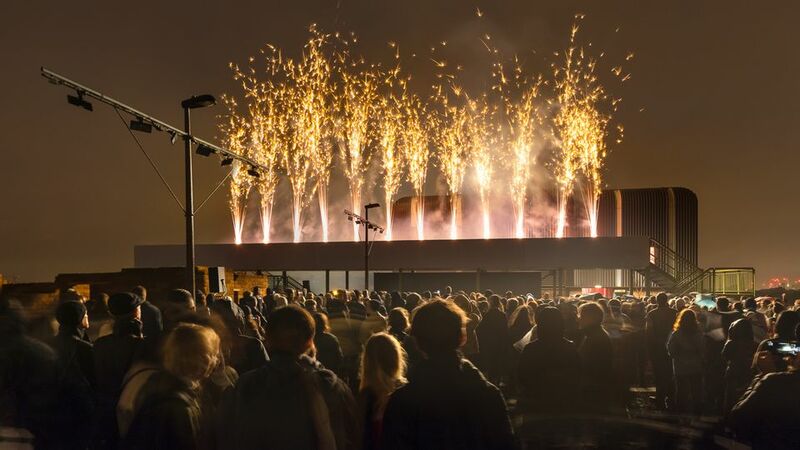 After half an hour a blast of fireworks on top of the roof's raised platform, designed by Cooke Fawcett Architects, offered the ultimate ephemeral experience against the misty Gotham-like backdrop of London’s increasingly high rise skyline. Next it was down to the shelter of the 8th floor where the 70-strong Multi-Story Orchestra continued the temporal theme with a memorable rendition of Haydn’s London Symphony No 101 (1793-94), which is also known as The Clock Symphony due to its ticking rhythms. This was followed by a turbo-charged performance of the US composer John Adams’s dramatic fanfare Short Ride in a Fast Machine, which certainly had both the orchestra and audience holding on to their hats. Then the evening was rounded off by Devlin's conversation with Carlo Rovelli, with the former prefacing their talk by admitting that the evening’s showing was the first time the eminent physicist had seen her response to his work. Thankfully Rovelli professed to be delighted that Devlin had captured and expressed “the core” of his book, declaring that in any case he never considered much distance between art, science and literature, all of which shared the desire “to make sense of the world around us”. However, it was nonetheless quite a challenge for all present—and Devlin included—to keep up with Rovelli’s brilliant and intricate grapplings with what we (or at least he) knows about time and its many massive imponderables. It was especially striking (for this writer at least) to learn that, according to the laws of physics, time was passing more quickly whilst we were on the 8th floor of the car park than if we were on the ground. Certainly time did seem to fly.